This article is largely the text of a presentation I recently gave for the launch of my latest book. The well-attended event took place at the Glenbow Museum in Calgary. The image above is a map of Alberta’s oil sands, and its purpose is to orient you geographically to the oil sands themselves. I have registered the book as a Canada 150 publication, so it sports that logo. 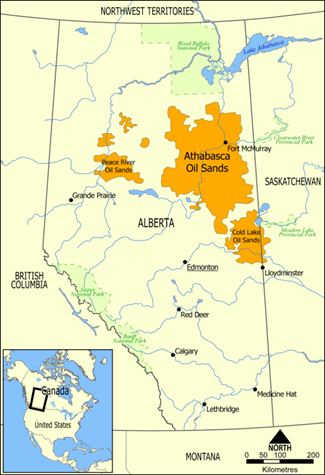 In global terms, the oil sands are the world’s second-largest petroleum resource. Only Venezuela has more bitumen in the ground. 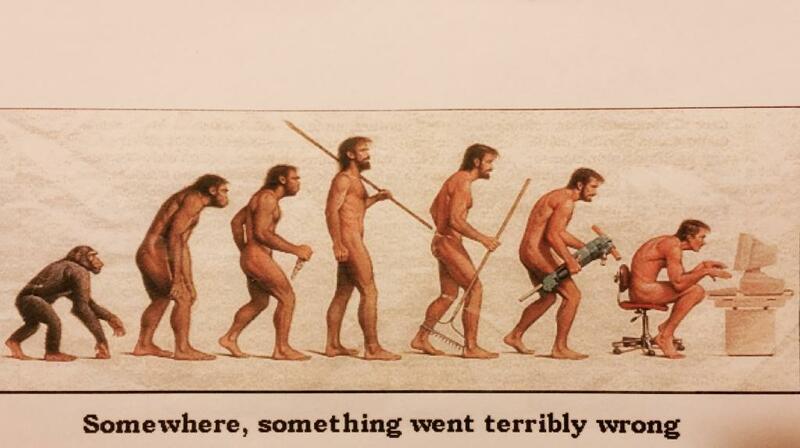 In my view, people write and read history to find ways to make society better, and to prevent it from getting worse. Inquiry into history has played a role in many of the key events of our planet’s past. For example, the women’s liberation movement of the 60s and 70s began with President Kennedy’s inquiry into the status of women, and fundamentally changed social perceptions of women. Similarly, many inquiries and studies have been behind efforts to empower Canada’s indigenous people, after the dysfunction created in those communities through more than a century of residential schools. One of the first steps to begin making amends is to understand what went before. An important part of moving ahead, in other words, is to study history, and put it on the record – whether as a book, a film, a website or even through a talk like the one I am giving today. For the history wonks among you, this probably seems like stating the obvious. I obviously can’t tell you much about the contents of a rather fat book. Instead, I want to tell you a small part of the story – what I take to be the amazing Suncor story. This story takes us back to the North American petroleum industry’s earliest days. You may not know that this story began in Ohio, decades before such great discoveries as Spindletop shifted much of the industry’s focus to Texas. During Canada’s Centennial 50 years ago, an Ohio-based American company laid the foundations for Suncor Energy, which has become Canada’s largest energy company. Here’s how it happened, as seen through the eyes of the people who were there. Today I want to tell you the stories of four men who played roles in building Canada’s largest petroleum company. · The first of these men was J. Howard Pew, who was born in 1882 and died in 1971. I learned about him from books, but also by talking to people who knew him. · Number two was Robert McClements, Jr., who is almost 90. · Another was the late Jack Avery. Jack became a field worker in 1966, just before commercial oil sands development began. · The fourth was Rick George, who died last month, aged 67. 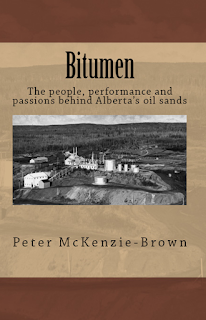 The people who developed Alberta’s oil sands turned Alberta into an economic powerhouse, and my book tells the story of how that happened. I based my writing about the last three of these men in interviews from among 117 which the Petroleum History Society collected, transcribed and donated to the Glenbow. I coordinated that project, and it sparked my interest in writing the book we are launching today. 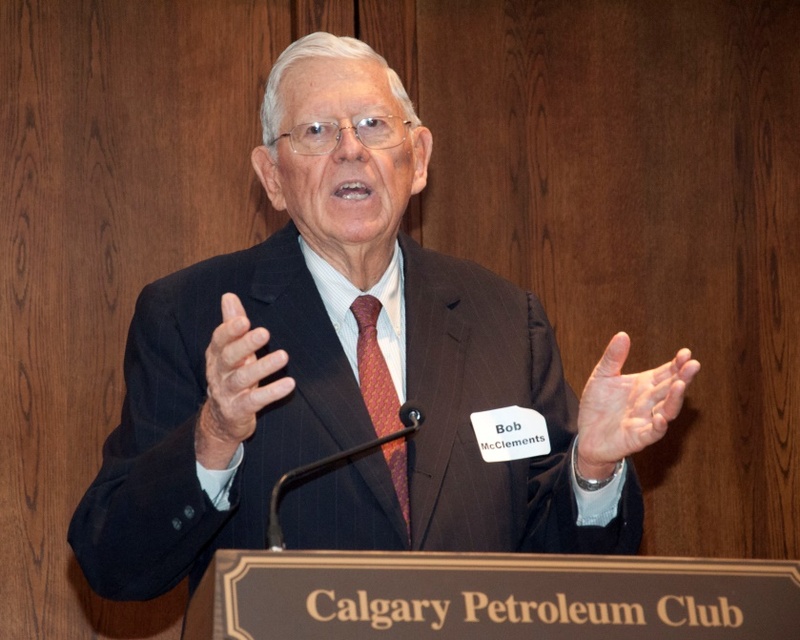 Among the other people I had the honour to interview were Premier Peter Lougheed, who died about 18 months later, and the remarkable Tom Morimoto, who actually worked in the oil sands as a teenager, during the Great Depression. Tom died about a year after our interview. The interviews that comprised the oil sands oral history project illustrate the vital role that oral history can play in preserving the stories of our past. I can’t imagine anyone in petroleum history I’d rather have met than J. Howard Pew. I once gave a presentation in which I mentioned Pew’s contributions to the oil sands. At the end of my talk, a former Sun Oil employee – he had worked in the lower echelons of the company’s global enterprise – stood up to make a few extemporaneous comments. The man’s name was John, and he had worked at one of the company’s field projects in Canada. John met Pew twice, he told me. The first time was at a company social gathering. The second time was several years later at a staff meeting in the field. On the second occasion, Pew came up to him and said “Hello, John. How’s your dog, June?” On both names – man and dog – Pew’s remarkable memory was correct. Born in 1882, Pew graduated from high school at age 14. He graduated from university at 18, and he became president of the Sun Oil Company at age 30. 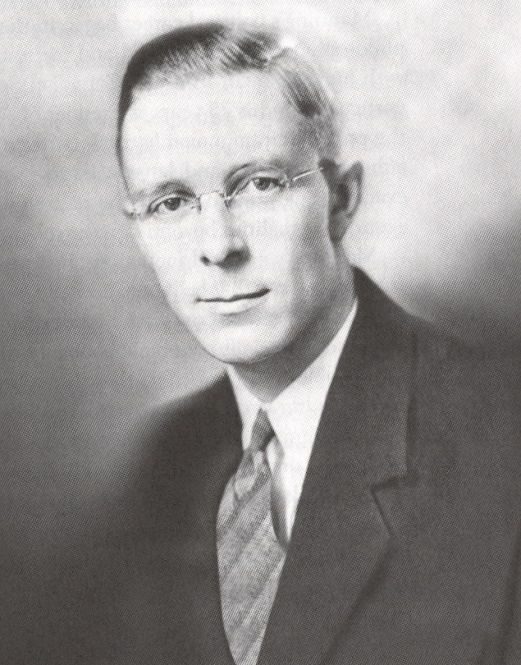 Pew and his brother Joseph transformed the Ohio-based company by introducing new refining, marketing, and distribution techniques. During the First World War he led the company’s move into crude oil tankers, playing a vital role in supplying the Allies with the oil that enabled them to win the war. 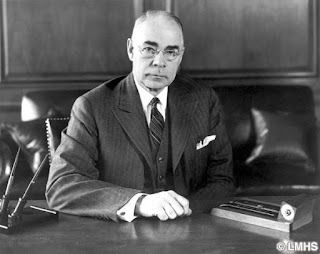 He founded a Canadian subsidiary known as Sun Company of Canada with headquarters in Montréal in 1919. 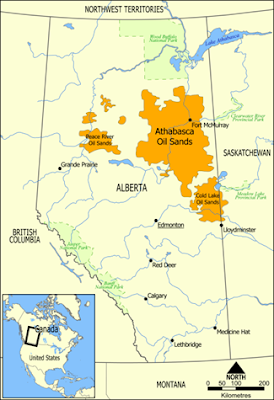 Others had been experimenting with oil sands development since the 1920s. Pew’s company began its investigations in the late 1940s. Pew was one of the early proponents of continental energy security, partly because of his experience during two world wars. North America depended heavily on oil from the Middle East, and submarines could destroy tanker traffic. For that reason he saw the need for North America to develop continental energy security, and he saw the oil sands as a vital part of that equation. In the early 1960s, Sun Oil’s majority-owned subsidiary filed an application for a commercial oil sands project in Alberta. It would be the first ever constructed. Pew was one of the ten wealthiest men in America, and one of the few with the financial resources and the technical know-how to pull off a project of this magnitude. It would be hard to overstate Ernest Manning’s impact on Alberta’s oil sands. Alberta’s eighth premier, he recognized their potential and took steps to spur interest within what would soon become a rapidly-growing petroleum industry. First by providing provincial funding for Bitumount during the Second World War, his government provided political assistance for the embryonic industry during its most critical quarter century. Shortly after the opening ceremonies for GCOS, premier Manning retired from government, after a quarter century as premier. He saw the Great Canadian Oil Sands plant as one of the crowning accomplishments of his career. I didn’t interview Manning for the oral history project, of course, but I did interview his son Preston, who rather dramatically described negotiations between the two men. To make the plant economic, though, Pew needed Alberta to open up markets for the oil the plant would produce. And that would require shutting in some of Alberta’s profitable conventional oil. Manning said he would do this. Now, I’d like to move toward the bottom of the chain of command in the Sun organization, and tell you a bit about Jack Avery, whose proudest achievement was his participation in D-Day, which effectively ended World War II. Jack was not a skilled worker when he became the plant’s fifth fulltime employee. This occurred in September, 1966, just before plant production began. But when the company opened the taps in the winter of 1967-68, it seemed that everything was going wrong. “We were frozen up from Grey Cup weekend well into February,” Jack told me. The reason? The plant had been designed by a California engineering company. “California is not like Fort McMurray,” he said. “We have a little thing up here called winter.” The plant hadn’t been designed for northern Alberta. Through the oil sands oral history project, I have had the honour of interviewing both of the other two men I want to focus on today. The first is Robert McClements, Jr.
Bob McClements had been construction manager for GCOS, and he was the project’s first project manager when the plant went on stream in 1967. At the time, Sun was the world’s sixth largest publically-traded integrated oil company. In 1968, he wrote an article titled “The Athabasca tar sands,” in a book about the Canadian oil and gas industry. It is the authoritative description of that project when it went on production half a century ago. In the 1980s McClements succeeded Pew as Sun Oil’s president and chief executive officer. During his tenure at the top, the company remained a petroleum giant. When Sun was near the top of its game, McClements asked Rick George to take charge of the company’s Canadian subsidiary. At the time, George was in charge of North Sea development and production for Sun. On that assignment, he had overseen construction of Europe’s first purpose-built offshore production platform. “I flew over to London and asked him whether he would give up his position with an established operation in the UK and move to a totally different environment in Canada,” McClements told me, and the following day Rick George agreed. Shortly after hiring Rick George, McClements retired. 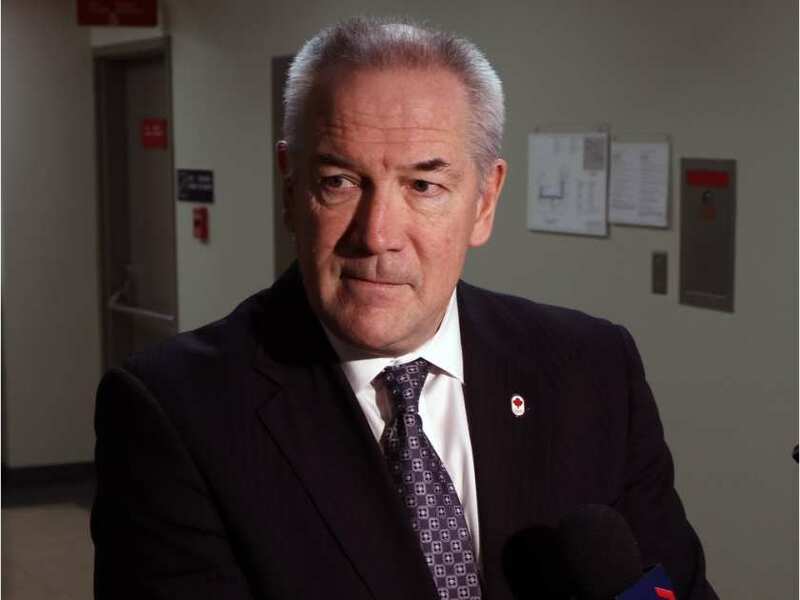 When George took up residence in the company’s Toronto head office as Suncor’s president and chief operating officer in 1990, the company’s primary assets included the money-losing oil sands plant, some service stations and a small refinery in Ontario. But times were changing – specifically, Sun Oil was divesting itself of some potentially valuable assets. Why did the American parent divest itself of Suncor? “We were actually going through a recession back in 1991-92, both here in North America and in Europe,” Rick George told me. Big mistake: Suncor had market capitalization of $1 billion when George took over. Today it’s about 65 times bigger, and 20 times larger than Sunoco. Assisted by Dee Parkinson-Marcoux, who brought a traditional mining background to Suncor, the first items of business during George’s presidency were to restructure the plant, deploy truck-and-shovel technology for mining, make major improvements to the processing plant, and expand capacity to 130,000 barrels per day. Despite dreadful oil prices, in 1998 Suncor filed its regulatory application for Project Millennium, comprised of mining capacity increases and a new upgrader. The project was a dramatic expansion designed to increase production to 210,000 barrels per day. I could offer a lot of detail about Suncor’s growth during his tenure, but I only want to mention one more: In 2009, the company announced a $19.1-billion bid to take over Petro-Canada. With the merger’s success, Suncor suddenly had a much bigger refining and marketing presence in Canada, light oil and gas properties around the world and significant additional oil sands properties. George’s final year in the company saw record production, record cash flow and earnings, and total debt way down, to $7 billion. I asked him whether, twenty years before, he could have imagined that Suncor would become the largest oil company in Canada – bigger by far than Imperial. When Rick George retired six years ago, chief operating officer Steve Williams inherited Canada’s largest energy company, but he didn’t stand still. 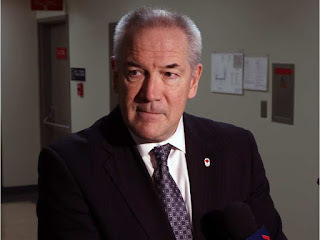 Under his leadership, Suncor used a combination of historically low interest rates and the oil price crash for rapid and fundamental expansion during the 2016 oil price bust. The company began by making a takeover bid for Canadian Oil Sands, the only piece of the Syncrude giant to trade directly on the stock market. 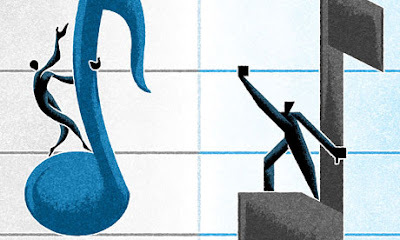 Reflecting a rapid drop in oil and gas stocks, the company began by buying the company’s shares on the open market. Eventually, Williams signed an amalgamation agreement with the company. A friendly $6.6-billion cash and stock deal gave Suncor control of the company through a subsidiary. Two months later, Suncor bought Murphy Oil Corp’s interest in Syncrude for $937-million. Combined, these two acquisitions gave Suncor majority control of Syncrude, the largest single source of oil in Canada. So that, ladies and gentlemen, is how Suncor changed from a small, American-owned downstream oil company to the largest energy company in Canada – a process that took a century. There are many other fine stories in the book, of course. I hope you enjoy reading them as much as I enjoyed the telling. 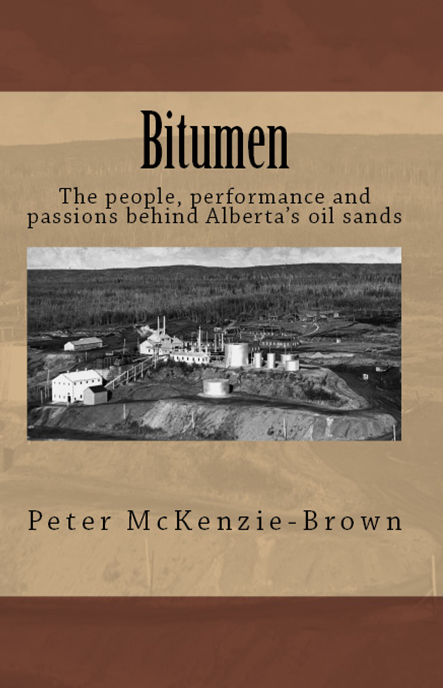 – Peter McKenzie-Brown is the author of Bitumen: The people, performance and passions behind Alberta’s oil sands. His other books have also been about Canada’s energy industry.